My name is David Sabine. I’m a Real Agility Coach and have been thinking about what Real Agility means to me. 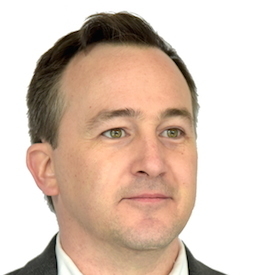 My introduction to Real Agility began in 2007 when the CTO of the college I was working at in Fort McMurray, Alberta brought in Mishkin Berteig as a third party consultant. Back then, I was a software developer and what I experienced then is still true today. The value of bringing in a third party to solve business challenges is immeasurable. Time and time again, as I have been involved with companies, either in a training or a consulting capacity, I have found that a third party presence provides or creates a break-through. The purpose is not that I go to a company as a consultant and I bring my new ideas, as though I am the only one with new ideas. What happens instead is that I visit a company and my presence, as a coach, opens the door for the internal staff to explore their own new thoughts, or concepts or possible solutions. So the ideas that are already in the company are just allowed to blossom a little bit in the presence of a third party,because this third party allows or creates a sense of permission, a sense of autonomy for those staff. They’ve been invited to explore concepts and they’ve been invited to think through their business problems from a different perspective and I am there just to reflect what they already have or what they already know. That occurred when Mishkin Berteig visited the college in 2007, and that occurs every time I go and visit a company for training or consulting. To really understand what Real Agility means to me, I’d like to tell you about how I came to software development in the first place beginning back in 1993 when I was starting university and was a freelance musician. I had two passions at the time: the pursuit of music and the logic of programming. My computer tended to pay the bills, more so than being a freelance musician, so as a career path I guess I was drawn to software development and started to build my own products early on in 1996-1997. I was writing software for small business clients with the aim to eventually build a product on my own and release it for sale worldwide. In 2000, I started to develop a product with a friend of mine. In 2001 we released it to other developers in the world. Our first sale of that product was in Belgium and for the next few years it sold worldwide. We had about 2000 websites that were using our product and it was translated into seven different languages by the community of users. It provided my friend and I with a reasonable income and a great opportunity. It was fun! In 2006, I realized that my own growth as a computer scientist required working with others beyond this friend, to work in a team, in fact. I moved to Northern Alberta and worked in IT department for a college. 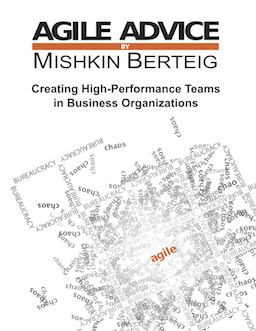 As I mentioned, in 2007, the CTO, brought in Mishkin Berteig to provide us with a 3-day training course on Scrum. Quite immediately I loved it because I could see how it would provide us with a lot of opportunity to solve problems we were facing in an IT department and, secondly, it just seemed like a more human way to work. I was reflecting on all of these periods I had had as a musician, working with other musicians, and it just seemed like a better way to approach the creative endeavor than other project management methods that were in play at the time. Since that time, I’ve been practicing them in a variety of settings and I’m more convinced now than ever that the Agile Manifesto provides us with a great solution space as we respond to business challenges. Recently I’ve decided not to be a developer or product owner but have decided to join Berteig full time and train and coach other teams. So that’s the story of my personal evolution. My personal journey. Looking back on that training I can see how I felt immediately that Real Agility was an alternative way of doing things. I studied music since I was a child and music has always been a huge part of my life,and as a musician, one becomes aware of or familiar with continuous improvement. This is the same concept found in Real Agility. But with music it’s incremental, tiny, tiny increments of improvement over time. We respond to an audience. We respond in real time to our fellow musicians. We are always taking in input and that informs our performance of the music. As musicians, we spend a lot of personal time developing our craft. We spend significant time in performance so we can receive the audience feedback. What I mean to say is that musicians are excellent examples of high performance teams and are excellent examples of creative excellence, who understand tactical excellence and what it means to get there. When I joined Software development in a large, bureaucratic institution – the college – it was anything but natural for me. At that time, I was more than just a software developer. I was systems analyst, database admin and a variety of positions or roles. It just felt like an industrialized, mechanical environment where people were expected to behave as interchangeable units of skill. Work was expected to get done in the prescribed procedure. And decisions were expected only to be made by the smartest or the highest paid few and if you weren’t of that ilk, you were not expected to behave autonomously. You were expected to be just part of the machine and it felt very inhuman, as most people feel as a part of a large hierarchical bureaucracy. When Mishkin facilitated the Certified Scrum Master training course in 2007, it just blew all those doors open. It reminded me that we can approach our work the way I had naturally approached it, as a creative individual who is capable of learning and wants to receive immediate feedback from audience or user, and who can make autonomous decisions about how to apply that feedback into the continuous development of software and systems and large infrastructure. These business challenges are pretty common. They are delayed projects or projects that that blow the budget, or where a group of people are assigned to the project and they can’t possibly complete the scope of work in the time given. Or staff are demoralized, and how that expands through enterprises. There are many examples. The college where I was working suffered all of the most common issues and the one that hurt me the most or I felt the most was attrition. Dis-engaged staff. The reason for it was simple. The college had not presented with them a purpose or opportunity to be masterful. The extrinsic motivators, salaries and such, were just enough to keep people for a little while and then they would leave. And so the college at the time was experiencing attrition of 35-40% per year and that’s what I meant by inhuman. When I read the Agile Manifesto I think that it provides us with solutions, and so if our current business problem or business circumstance is that we have disengaged staff who aren’t very productive and aren’t getting along well, then the Agile Manifesto reminds us that perhaps business people and developers can work daily throughout the project together. They can have continual interaction, and then individuals and their interactions become more valuable than the process and the organizational tools that have been put in their way. It reminds us that people should be allowed to work at a sustainable pace. We should build projects around motivated individuals. And that poses questions about how to do those things. What does it mean to be motivated, and how do we build projects around motivated people? So Agile Manifesto presents us with some challenges, as a mental process, and then when we work through that we understand how it can inform good decisions about how to solve business problems. In other words, Agility means being nimble, the ability to adapt to current circumstance, but more than that, Real Agility means that we should approach our work with the intention that we stay light-weight so that when our circumstances change we can adapt without a lot of inertial resistance. So there’s two components there. One is being able to adapt quickly, and being aware of present circumstance but the other is that we don’t want to take on weight and institutional mass, because that’s inertia, the status quo.